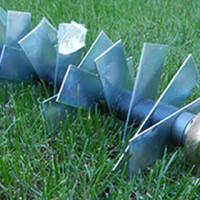 The peak of summer heat is here – but can your lawn handle it? Regardless of how much effort is put into treating a lawn to keep it healthy, it is important to follow a few simple rules in the hot periods. Otherwise, your lawns can soon become stressed and start turning brown. Here are some simple tips and tricks you can follow to keep your lawn healthy through the extreme heat of summer. 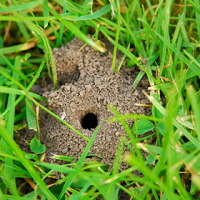 You are now probably finding that you need to increase your mowing frequency of your lawns. 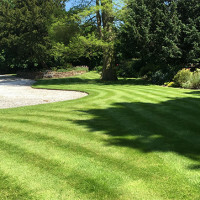 When the conditions are ideal for growth, you may find you need to cut the lawns twice a week to keep them looking good and at a reasonable height. The key to remember here is to not cut the lawns too short each time. You may have heard the rule of “never cut more than a third of the leaf at a time” and this is true, but it is even more relevant when it is hot because you can cause major damage and stress to the grass. 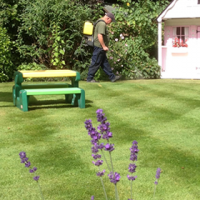 If you are going away on holiday, cut the lawns normally as close to your leaving date as possible. If you don’t have a gardener who cuts the lawns while you are away, the grass will obviously be quite long on your return. At this stage, you need to cut the lawns on the highest setting on your mower, and gradually lower the height of cut after each pass. Do not be tempted to cut most of the grass height in one cut. Again, doing this will cause stress and can cause an ideal environment for diseases like Leaf Spot to occur. Try to maintain a reasonable high height of grass throughout the summer. The longer the leaf is, the more water it will be able to maintain and hold onto. It can be shocking how quickly lawns dry out once we have some hot weather for a few days. It is essential that you water your lawns during these periods if you want to maintain a healthy green colour. 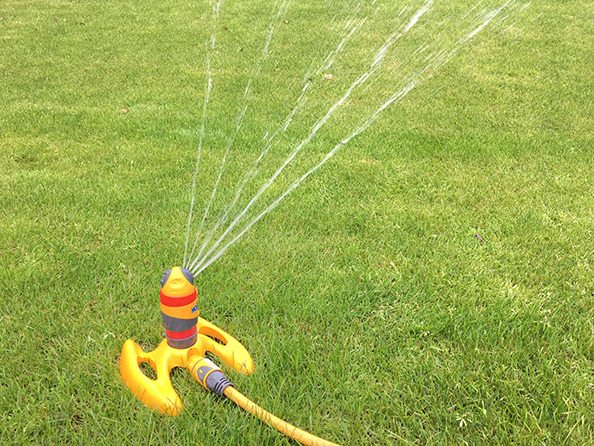 Most people complain about the cost if they are on a water meter, but the small cost is well worth the benefit of stopping your lawns from drying out and becoming an eyesore. If you have a sandy soil lawn, you will typically need to water more and sooner after dry conditions occur. Those with heavy clay soils will not have to water as quickly or as vigorously because clay does not drain as quickly as sand. Other factors that will play a part include trees and shrubs. Areas of lawn near these typically dry out quicker because the roots of the plants will take a lot of the moisture available, meaning the grass dries out quicker. Lawns in shade conditions will typically be wetter because there is not as much sunlight to dry out the areas as quickly. Don’t be tempted to apply water conservers or wetting agents during drought periods. 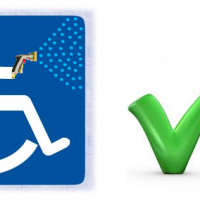 Many people mistakingly think that wetting agents will remove the need to water, but this is a massive misconception. Wetting agents require a LOT of water to allow them to work effectively. 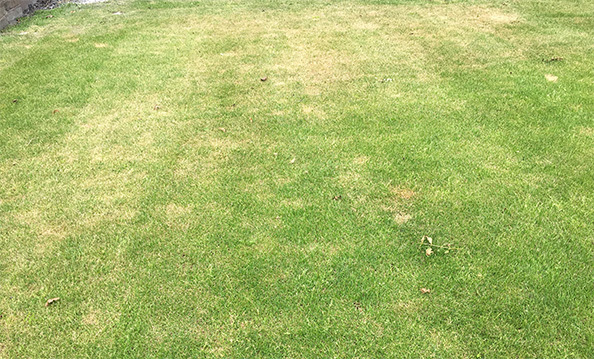 They are often used as part of a management programme and recovery process to help Dry Patch, but are of little use on a domestic lawn as an answer to lack of water. These products can help a little if applied properly, weeks before drought conditions occur, but as mentioned above they need to be washed in with a LOT more water than you can normally apply to get them working effectively. Wetting agents can also cause problems further down the line with soil decaying if used incorrectly, which can contribute to Black Layer (a problem caused when soil becomes insufficiently drained and results in the soil becoming anaerobic). 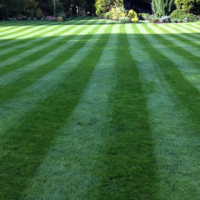 If we are already treating your lawns regularly, please talk to our operatives. The points raised above are generally all you will need to help your lawn stay healthy throughout the summer.